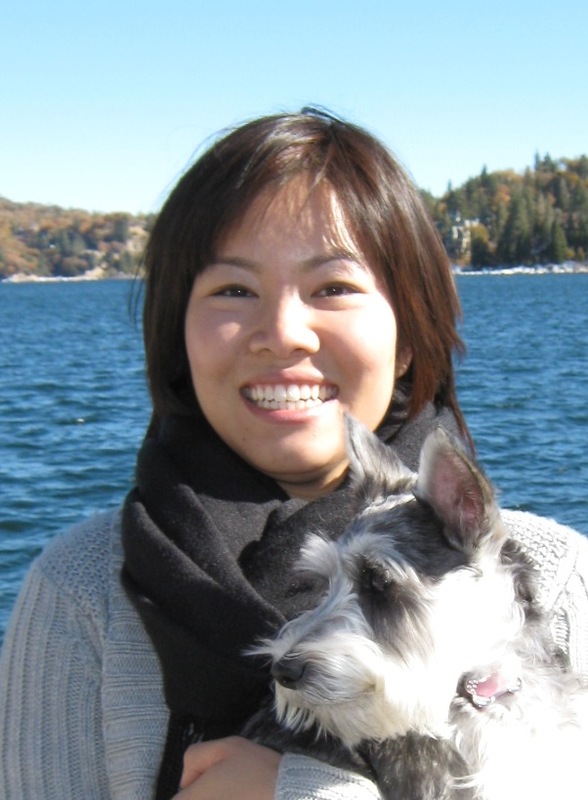 Jessica Chen is a full-time doctoral student at Loma Linda in Marital & Family Therapy. She has an MFT degree from Fuller Theological Seminary as well as a BA in Design Media Arts from UCLA. Her favorite food is “niu rou mien” (translation: beef noodle soup), and her favorite hobbies include calligraphy and spending time with Madeleine, her miniature schnauzer. While growing up in a Taiwanese American church, I started mentoring sisters and seeing a lot of things I didn’t know how to address from a purely biblical point of view. A lot of it had to do with family relationships and really broken perceptions of God. At the time, I didn’t know how to think about it and how to help them other than to chat with them and support them. Somehow God led me study marriage and family therapy during which my own identity was shaped, and I began seeing my own family issues as well. As Asian American believers, our parents’ culture really impacts our faith . One example is the idea of “honoring one’s parents” — a Christian commandment as well as an Asian value deeply rooted in Confucianism. Asian American adult children often struggle with questions like “What does it mean to honor my parents when they want me to become a doctor but I don’t have an interest nor do I feel like God is calling me?” I have had friends who had years of depression and anxiety from conflict with parents. Sadly, some left their faith entirely because the image of God imparted to them by their parents left them shame-based and guilt-ridden. I don’t think there’s anyone to blame necessarily; I just think that as an Asian American, this is part of our culture. So my passion is to figure out how the church and the mental health field can provide support to bring healing to inter-generational relationships and to 2nd generation Asian American believers so they can raise their own families in a way that is healthier and more beneficial to themselves and the kingdom of God. What are specific challenges for you (in your vocation, spiritual growth, etc.) as an Asian American woman? As an Asian American woman, there are certain roles you grow up assimilating into. You’re naturally kind of submissive to elders and males without even knowing. When I came to Fuller and interacted with non-Asian believers for the first time, I was totally bewildered because it was almost like encountering another type of faith. My Asian Americanness suddenly became very apparent to me. In group settings and at work, I didn’t know how to speak up because I was always taught implicitly to wait until everyone was finished speaking before speaking, especially when talking to someone older than you. For a couple years, I really struggled with how to develop an identity for myself in the workplace, especially as a therapist seeing clients older than me. What helped tremendously was understanding that it came from my upbringing – that there was nothing wrong with my upbringing nor was there anything wrong with acculturating to more Western ways of working or relating to other people — but it was definitely a challenge. Now I’m in a doctoral program in a field where it’s a majority of women, but there are a lot of men in general at this level of study. As an Asian American woman, there are days when I feel really competent because I know this is where God has placed me, but there are a lot of days when I feel intimidated because I have to speak up and work alongside Caucasian males who are well-established in the field. It’s a big learning curve. It’s really exciting, but it’s not natural to me. A lot of the women in my life are very capable women — many of my aunts are doctors or have their doctorates – but when you put them in the context of their families, they still serve their husbands. I appreciate that in my family, but I haven’t yet figured out how to translate that into the academic world. It’s a challenge, but I’m thankful for the opportunity to figure it out. Jessica is interested in connecting with other mental health professionals or pastors who are specifically interested in the mental health of Asian American believers. To contact Jessica, please email aawolsisters@gmail.com.